Earlier this month, opposition Movement for Democratic Change (MDC) said it had no plans to join factions of the ruling ZANU-PF party to form a national unity coalition after the eventual death of 93-year-old President Robert Mugabe. A Reuters investigation revealed that Vice-President Emmerson Mnangagwa, favourite to succeed Mugabe, has been looking to build a broad coalition that would kickstart the economy by reintegrating thousands of white farmers booted off their land in the early 2000s. However, the MDC said it would never consider joining an administration that was not the product of an election. 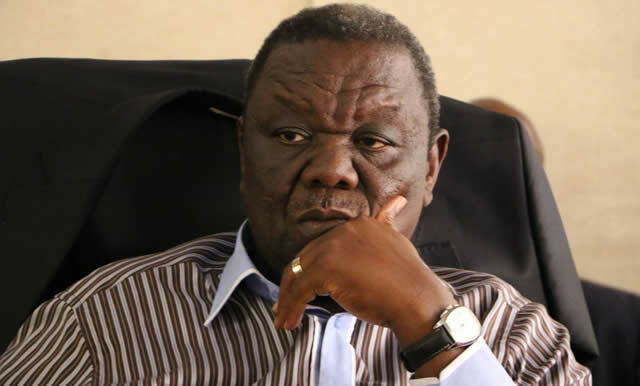 “While stability is important, President Tsvangirai and the MDC have always placed a far higher premium on legitimacy and democracy,” a statement said. In the meantime, the Zimbabwe Electoral Commission (ZEC) finally rolled out their long expacted Biometric Voter Registration system, to compile a new voter’s role. The commission plans to register more than 7 million Zimbabweans by January. These plans, however, are met with scorn, as it has only a quarter of the registrations kits needed available at the moment. Zimbabweans are sceptical and see the BVR-technology as a new way for the ruling party to rig the 2018 elections. Finally, this week there was an upsurge of indignation about several members of the Mugabe family and their spending behaviour. For Zimbabwe, the 72nd United Nations General Assembly has been characterized by controversies over the expenditure of President Robert Mugabe’s sons in Harare and New York. In a country in which the economic crisis is worsening still, Grace Mugabe’s son Russell Gorereza welcomed two new luxury cars to his fleet of vehicles last Friday, receiving a lot of criticism online. President Mugabe himself took along a 70-member delegation, including his wife Grace Mugabe, to participate in the UNGA, where his son Bellarmine Chatunga was spotted shopping in the city with a bodyguard carrying his shopping bags. On Monday, the New York based Congo Research Group (CRG) released a report on the killing of hundreds of people around Beni, in north-eastern DRC, between 2014-2016. The report claims that Congolese army commanders orchestrated the wave of massacres, as they vied for influence with anti-government insurgents in north-eastern DRC. The report is the first of its kind to offer a definite theory of the perpetrators’ motives, of these violent incidents that have “largely been shrouded in mystery.” The report also reflects on the role of the UN Peacekeeping mission in the specific area. On Wednesday, i.a. AlJazeera reports on an incident in South-Kivu, where Congolese security forces opened fire on a group of protesting Burundian refugees. “At least 39 people – including a 10-year-old girl – were killed and 94 others wounded.” After the arrest of four Burundian refugees, allegedly holding ‘weapons’, Burundian refugees and asylum seekers living in the area left their camps and went to the office of the National Intelligence Agency to protest the detainment of the four men. The Congolese government claims that the army was attacked by armed persons and not refugees. In this same week, President Joseph Kabila, has travelled to the restive Kasai region to attend a forum for peace. The eastern Kasai region has been home to armed clashes over the last year. Militia and state forces have engaged in running battles that have led to deaths and displaced thousands. The main opposition have criticized the forum describing it as a mini rally for the ruling party. Earlier this week, violent clashes erupted between police and protesters after a memorial vigil for a Georgia Tech student, who was killed by campus officers late last week. The Georgia Tech shooting happened as police across the United States are facing protests and scrutiny over the use of deadly force. Donald Trump at the UNGA called the collapsing situation in Venezuela “completely unacceptable”. Adding to the escalating relationship with the regime of President Maduro, Trump warned that the United States was considering what further actions it can take. “We cannot stand by and watch,” he said. At the same time, China strengthens its ties with the Southern-American nation. On Tuesday, on the side-lines of a U.N. meeting, Chinese foreign Minister Wang told Venezuelan Foreign Affairs Minister Jorge Arreaza that China’s strategic partnership with Venezuala will not change. China adheres the principle of non-interference in the internal affairs of other countries. Venezuela’s government and people should have the ability to resolve problems via talks within a legal framework and protect national stability, according to the Chinese Foreign Minister. In Venezuela itself, opposition parties blamed President Nicolas Maduro’s government for the death of a sick activist in detention, saying he was framed and then denied medical help. Carlos Garcia, a local legislator in western Apure state, suffered a stroke in August after being arrested in late 2016 during protests. Venezuela’s opposition parties accuse the Maduro-regime of being dictatorial and maintaining hundreds of political prisoners on trumped-up charges. On Tuesday, militants assault government targets in Hama-province, complicating cease-fire talks. Militants linked to al-Qaeda (Hayat Tahrir al-Sham) started a large-scale offensive against government targets in western Syria, state media and opposition activists said. The violence could potentially impede international efforts to quell fighting in that part of the country. Iran, Russia and Turkey are in a month-long process of establishing “de-escalation zones” in four regions of Syria, including parts of Hama and Idlib, which hosts a growing number of displaced civilians, according to Washington Post. A renewed attempt for peace in Syria did not seem to be at the top of the list in the first days of the UNGA in New York, as newly installed French President Macron tried to set up an international contact-group on Syria, to revive stalled peace talks in Geneva. Trump’s anti-Iran stance, however, has partly complicated those efforts. Also at the UNGA, The United States, Britain and other countries opposed to Syrian President Bashar al-Assad claimed they will not support the reconstruction of the country until there is a political transition that moves away from Assad. This stance of the “Friends of Syria” group opposes the stance of Iran and Russia, who support an ‘Assad-inclusive’ solution for the Syrian crisis. In Spain, the battle between the federal government in Madrid and Catalonia’s regional government over the independence referendum continues. Catalonia’s regional authorities plan to hold a vote on independence on October 1, despite Spain’s Constitutional Court having ruled the ballot illegal as it would defy the nation’s constitutional decree declaring Spain indivisible. This week, Madrid added to the escalation of the conflict by seizing more than a million pro-referendum posters and pamphlets in Catalonia, after ordering a criminal investigation into the 712 Catalan mayors who have agreed to help stage the referendum on September 14. State police arrested several Catalonian officials on Wednesday, in an unprecedented raid of regional government offices. The Catalonian authorities claim that this behaviour from Madrid intimidates both local mayors as well as media, according to Al Jazeera. Following Wednesday’s raids by the Guardia Civil, tens of thousands of protesters gathered outside the regional government offices in central Barcelona as well as in several Catalan cities, waving the red-and-yellow Catalan flag and chanting “Occupying forces out” and “Where is Europe?”. On Thursday, several hundred people gathered in front of the High Court of Justice of Catalonia to demand the release of the dozen officials arrested. Early this week, an interesting piece from the hand of Omkar Khandekar on Indian news-platform Scroll appeared, on the increasing politicisation of the judiciary under President Yameen. At the end of August, a 14-point petition endorsed by 56 lawyers outlining concerns about the deteriorating state of the judiciary in the country, was presented to the Supreme Court. “Predictably, the petition wasn’t accepted. But more shockingly, on September 10, the Department of Judicial Administration – controlled by the Supreme Court – suspended all signatories, which together reportedly make up a third of all practicing lawyers in the Maldives, over charges of contempt and for gathering in a manner that “obstructs the independence of justice system”, without explaining how, Khandekar writes. The lawyers’ effort was part of a larger plan: to kick-start a series of awareness workshops, TV appearances and mount pressure on the judiciary to initiate reforms, through the civil society and diplomatic channels, starting with a photo-op outside the Supreme Court. Read the full article by Khandekar via the link below. The ongoing prosecution of Rohingya in Myanmar was one of the top-priorities at the United Nations General Assembly this week. On Wednesday, U.S. Vice President Mike Pence accused the Myanmar military of responding to militant attacks “with terrible savagery, burning villages, driving the Rohingya from their homes.” Pence called the crisis a threat to the world and said U.S. President Donald Trump wanted the U.N. Security Council to take “strong and swift action” to the violence. Bangladesh’s prime minister Sheikh Hasina accused Myanmar of ethnic cleansing of its Rohingya people and urged the country to allow the return of the refugees. Bangladesh is now sheltering over 800,000 Rohingya, of whom 430,000 had arrived in the past three weeks. The PM urgently called on the UN to create safe zones in in Myanmar’s Rakhine state. Late this week, AlJazeera reports on the regressing media freedom in Cambodia. Nearly a dozen stations have had licenses suspended without notice, ahead of 2018 election. Especially Cambodia’s poorest and most remote populations remain heavily reliant on radio for independent news, also now television is almost entirely dominated by parties affiliates to the government. Other organisations are also under pressure, Al Jazeera reports. The Cambodia Daily – the country’s highly regarded, longest-running English daily newspaper – shut its doors on September 4 after being ordered to pay a $6.3m tax bill that many believe to be politically motivated. Last week, Mother Nature, a prominent environmental group, suspended its operations citing ongoing harassment.